⛳️ Good morning! 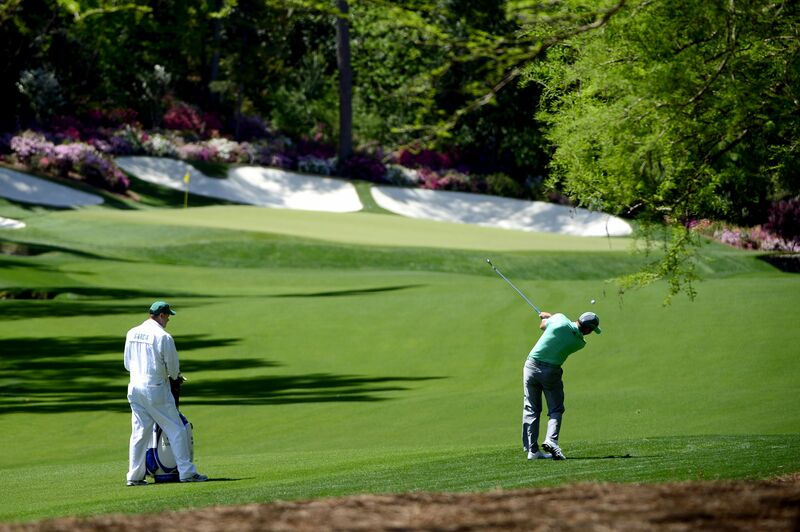 Welcome to a special Masters edition of Axios Sports. I had so much fun putting this together and hope you enjoy it. P.S. It goes better with music. Walking through the entrance at Augusta National is like walking through the gates of golf heaven. This is hallowed ground, steeped in both history and tradition. 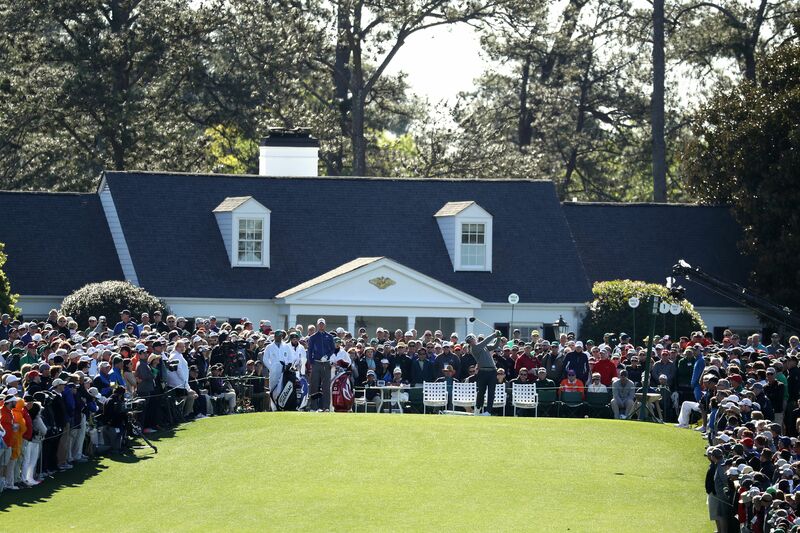 Since the Masters is the only major that doesn't rotate, every feature of the course — from the famous trees to the cheap concessions to the room where the Champions Dinner is held — has been woven into the fabric of American sports fandom. Why it matters: Not sure if you've noticed, but the world is kind of insane. A year ago, we learned that the Pentagon's secret UFO program(!) had mysterious alien alloys(!!) in a garage in Las Vegas(!!! ), and our collective response was to say "Whoa, crazy," then continue scrolling through Twitter and laughing at memes. Weird time to be alive! And kind of scary, too. Social media has changed literally everything, and none of us have even the slightest clue where this grand experiment is headed. And then ... an event like the Masters comes around and all order is restored to the universe. Like so many grand spectacles of sport, it connects us to our past and reminds us of who we are. The bottom line: As our world gets increasingly confusing and complex, it is my hope that sports can serve as our North Star. Something to keep us on track and help us maintain our sanity. All of us have dreams, and all of us strive to be the best for ourselves and the ones we love. It's what makes us human, and it's what keeps us going each and every day. While enjoying the golf this weekend, perhaps you'll take a moment to appreciate that you are witnessing exactly that: men, young and old, fulfilling their childhood dreams and striving to be the best. So simple. Yet, again, so human. SPORTS, MAN. P.S. ... Speaking of Augusta National's many iconic features, did you know that the course's 44 bunkers are filled with "the purest silica sand that has ever been found anywhere on Earth"? It's true. Just promise me you won't try to steal any of it. One guy tried a few years ago and ended up in jail. Wild story. Over the years, the Masters has developed a reputation for being a putting contest, but recent history suggests that a great long game is much more important if you want to win the green jacket. By the numbers: The average winner this decade (excluding Danny Willett and Sergio Garcia, who didn't play enough PGA Tour rounds for their stats to qualify) ranked just 98th in putting that season. By comparison, they ranked 10th in strokes gained from tee-to-green, with four of them — Phil Mickelson in 2010, Bubba Watson in 2012, Adam Scott in 2013 and Jordan Spieth in 2015 — ranking in the top five in that category. P.S. ... I have a theory about why the Masters is thought to be all about putting when, in fact, it's not. Here it is: Augusta National is synonymous with iconic golf moments, and iconic golf moments are synonymous with putts. 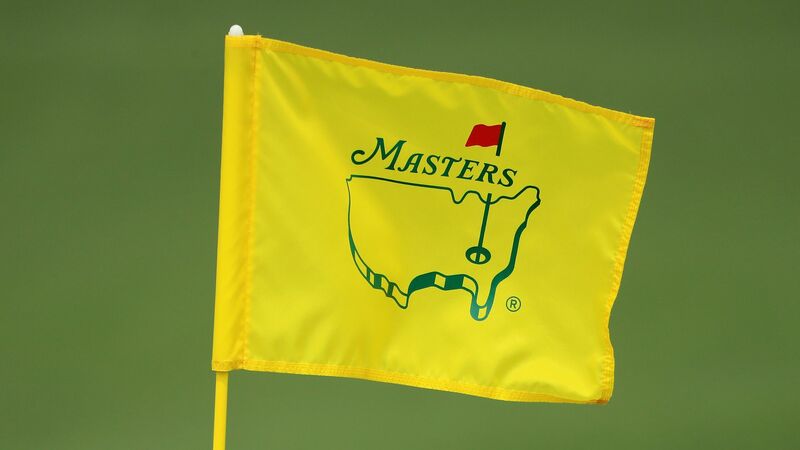 And so, while there have been plenty of spectacular drives and iron shots throughout Masters history, when we think about this event, we envision a tournament-winning putt and instantly associate the two. End theory. The intrigue: McIlroy, who hasn't finished outside the top 10 all year, is the clear-cut best player in the world right now, and a green jacket is the only thing standing between him and the career Grand Slam. The intrigue: Johnson, who has five top-10 finishes this season, recently became just the fifth golfer in the last 50 years to reach 20 wins by age 35. Yet somehow, he only has one major to his name (2016 U.S. Open). The intrigue: Did you know that there's a Masters curse? Since the inception of the World Golf Rankings in 1986, only three No. 1-ranked players have won: Ian Woosnam in 1991, Fred Couples in 1992 and Tiger Woods in 2001 and 2002. Rickie Fowler (15-1): He has yet to win a major but came really close here last year, surging down the stretch but coming up one shot short of Patrick Reed. Jordan Spieth (16-1): No one has played this course better in recent years (last five finishes: 3rd, 11th, 2nd, 1st, 2nd), but we can't ignore the epic slump he finds himself in: zero top-10 finishes since the 2018 British Open and zero under-par weekends this year. Tiger Woods (16-1): Of all the players in the field, Tiger has the best career score (-88). Now, if he could just make a few putts. Jon Rahm (20-1): The Spaniard finished fourth here last year and has six top-10 finishes in nine starts this season. Might be the best driver of the ball in the world right now. Justin Thomas (20-1): While his Masters history isn't all that impressive, the world No. 5 has been lights out this season and currently sits first in scoring average. Francesco Molinari (20-1): The Italian has struggled here (zero top-10 finishes and two missed cuts in seven starts), but ever since winning The Open in July, he's looked like a completely different player. Brooks Koepka (20-1): He hasn't looked like himself since shedding 24 pounds. Cool storyline if he wins: Every major would have someone trying to complete the career slam (Koepka at The Open, Rory at the Masters, Spieth at the PGA and Mickelson at the U.S. Open). Patrick Reed (60-1): He's the defending champ and still ranked inside the top 20, but his play has been so poor as of late that he recently hired a new swing coach. No. 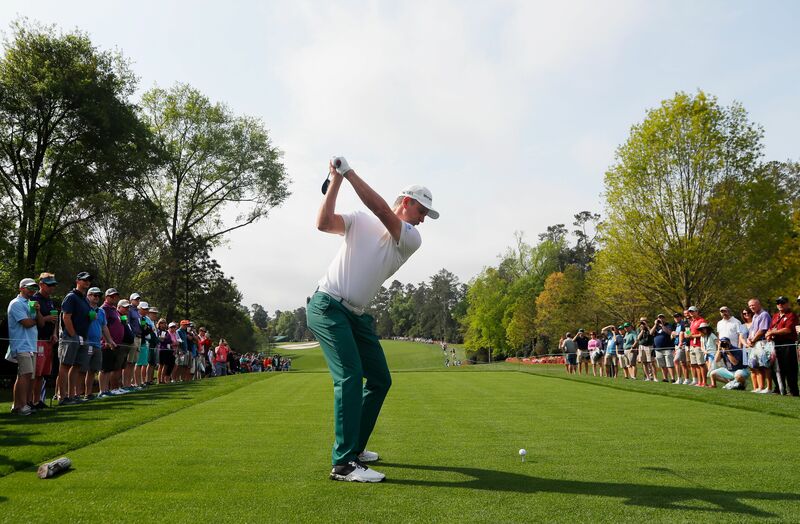 1 (Par 4, 445 yards): Augusta National does not allow players to ease into their Masters experience, as the first hole features a narrow tee shot with trouble right and left. Last year, there were 83 bogeys or worse on this hole. Tiger Woods: "When the wind is blowing ... that is one the hardest opening holes. It gets scary. ... If you are able to play it in 16 [total strokes] you've picked up quite a lot on the field." No. 5 (Par 4, 495 yards): This has been the most talked about hole all week, as it has been lengthened by 40 yards and flattened around the greens. If you land in either of the two bunkers on the left side, you're toast, so accuracy off the tee is paramount. Rory McIlroy: "I've always felt like the front nine here plays about a shot harder than the back nine. Now it probably plays about a shot-and-a-half harder because of the added length on 5." No. 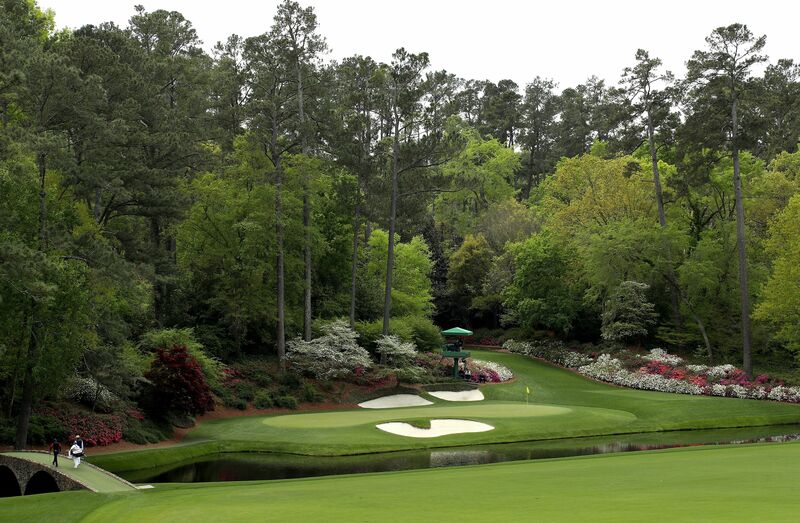 12 (Par 3, 155 yards): Perhaps the most famous par 3 in the world, with the Hogan Bridge on the left of the green, Rae's Creek in front and the azaleas and bunkers behind. Players will be hoping there's no wind, as it can be particularly difficult to read. Bubba Watson: "They did studies on [that wind] and it's called the 'eddy effect,' where the wind speeds up because of the trees and everything. If you get a gust, it actually doubles the speed, but you just don't know it. That's why you see balls come up short and you're like, 'Did that guy really just misclub by two clubs?'" No. 13 (Par 5, 510 yards): Everything about this hole entices players to stay to the right, but those who successfully drive their ball over the dogleg to the left are rewarded with a flat lie and clean look at the green. It's the ultimate risk-reward hole. The intrigue: This is "one of the most vexing par-5s ever conceived," writes SI's Daniel Rapaport. But now that players are driving the ball farther than ever, they're not playing the hole as originally intended, "trivializing the fairway's nuances" and essentially turning it into an easy, mid-length par 4. April 11, 1966: 53 years ago today, Jack Nicklaus became the first back-to-back Masters champion, winning an 18-hole playoff against Tommy Jacobs and Gay Brewer. In 1965, he had dominated the field, beating Gary Player and Arnold Palmer by a then-record nine strokes. April 11, 1983: 36 years ago today, Seve Ballesteros of Spain won his second Masters title. Friday was postponed due to heavy rain, so the final round was completed on Monday — something that hasn't happened since. April 11, 2004: 15 years ago today, Phil Mickelson birdied the 72nd hole to beat Ernie Els by one stroke and claim his first major title. Only five players have won the Masters wire-to-wire. The first to do it was Craig Wood in 1941, and the last to do it was Jordan Spieth in 2015. Question: Who were the other three? Hint: One did it in 1960, one did it in 1972 and the other did it in 1976. Also, all three players rank in the top 20 all-time in majors won. "In the areas immediately surrounding golf's most exclusive club, there are generally only two types of properties: the ones Augusta National has acquired — and the ones it will acquire," writes the Wall Street Journal’s Brian Costa. 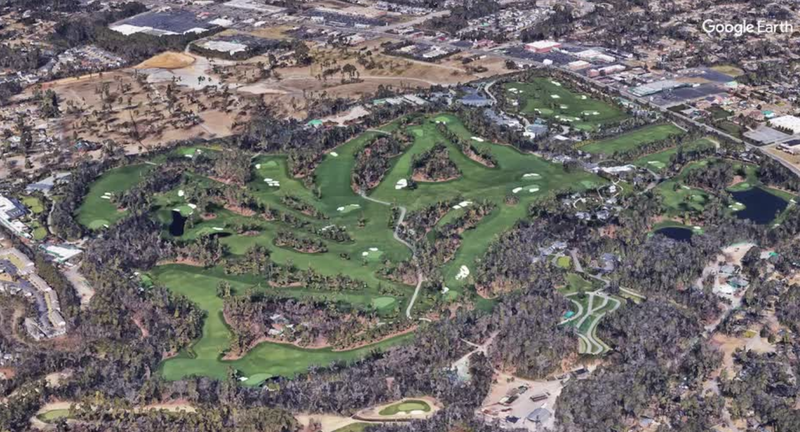 By the numbers: In the last 20 years, Augusta has spent upwards of $200 million to buy more than 100 pieces of land totaling some 270 acres. All in all, the club has expanded its territory by more than 75%, oftentimes buying and demolishing entire residential blocks. What's happening: This is all part of Augusta's strategy to further insulate itself from the outside world. These efforts began in the late 1990s when entire neighborhoods had popped up around the once-secluded club. Residents were charging Masters patrons to park on their lawns, and ticket scalpers and street vendors lined the streets. "The carnival atmosphere was in stark contrast to the genteel and hyper-controlled environment inside the club's gates," so these expansion efforts began — and they haven't slowed down since. Wildlife: "Augusta sits in the buggiest part of the United States, and yet you won't find a squirrel anywhere on the grounds," wrote SB Nation's Spencer Hall back in 2015. The above photo, captured yesterday, might explain why. Media: For the 32nd consecutive year, Jim Nantz will host the Masters. He'll be joined by three-time Masters champion Nick Faldo (18th hole tower), Verne Lundquist (16th hole) and plenty more familiar voices. Yesterday's MVP: Masters rookie Matt Wallace got off to a strong start yesterday, winning the Par 3 contest and making a hole-in-one. Telling stat: Since 69th-ranked Angel Cabrera won in 2009, nobody ranked outside the top 30 in the world has been victorious. Even Patrick Reed, though not one of the favorites last year, was still ranked a healthy 24th going in. Tee times: See 'em all. Pro tip: If you want to master the art of sports betting, download The Action Network app. 1. Will Jordan Spieth shoot over/under 71.5 today? Know this: Spieth ranks just 123rd in scoring average this season (71.4), but he has been the first-round leader in three of the last four Masters. 2. Who will record more birdies: Jason Day or Bryson DeChambeau? Know this: Day ranks 4th in average birdies per round this season (4.9), while DeChambeau ranks 5th (4.8). 3. Who will finish with the lowest first-round score in the Justin Thomas, Justin Rose, Phil Mickelson grouping? Yesterday's results: 15.6% correctly predicted that the Blue Jackets (+1.5) would cover the spread against the Lightning. They won 4-3 ... 40.3% correctly predicted that Sidney Crosby would NOT score against the Islanders ... 1.8% correctly predicted that Kemba Walker would score 41 or more points. He scored 43. 0 players nailed all three predictions. Brutal showing for the Axios Sports family. I'm feeling a big rebound today.